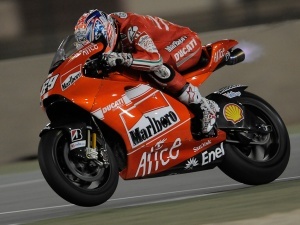 Nicky Hayden: Photo courtesy of Ducati Team, all rights reserved. The first day of testing was delayed over four hours because of a fluke rain storm. Nicky Hayden completed 31 laps on the first day of testing. His fastest lap was on 29 of 31 at 2:02.717. Rossi, Lorenzo, Pedrosa, Capirossi and Stoner sat out the first day of testing hoping for better weather the next two days. 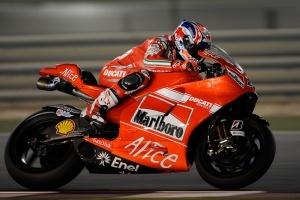 Casey Stoner: Photo courtesy of Ducati Team, all rights reserved. 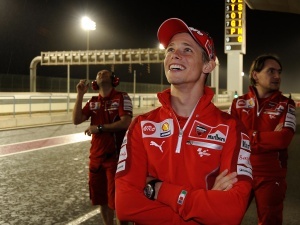 Casey Stoner and Ducati Team members amazed to see rain in Qatar. The high winds throughout the day dropped just before the start of the second day of testing. Casey Stoner not only had his recovering wrist to evaluate, also a new swingarm and electronics of the Ducati Desmosedici GP9. Casey set the fastest lap of day two on lap 23 and was satisfied with his pace and recovery. Nicky Hayden had to start from scratch testing a set-up with the dry track. Hayden took steps forward compared to Malaysia but admitted he has work to do. The bizarre conditions continued on day 3 of testing with cool temperatures. Loris Capirossi, Niccolò Canepa and Casey Stoner all crashed,luckily escaping without injury. Casey got right back on the track and ran a series of hot laps with two under 1:56. Casey's fast lap of 1:55.744 on lap 22 of 31 would hold up. Track conditions worsened about 10:00PM so testing was cut short about 1 hour. 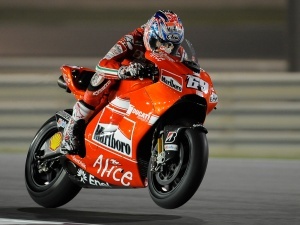 Nicky Hayden ended the test on a positive note finishing in the top 5. The final pre-season test at Jerez de la Frontera in Southern Spain on March 28th and 29th should be very interesting. 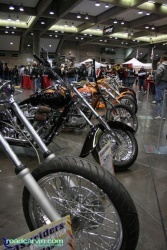 Author: Dwight Domonkos /// submitted on March 5, 2009 - 10:38pm. Kawasaki bailing out of MotoGP? According to roadracingworld.com, Suzuki has announced changes to the 2008 motorcycle line-up, including 14 new or revised models, including the Hayabusa GSX1300R, B-King GSX1300BK, and GSX650F.